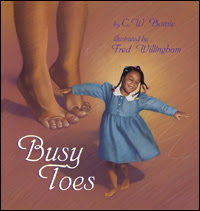 And we have a great collection of wonderful nonfiction books for children for you to enjoy. But before we get to those book links, I want to point out that today marks the second anniversary of my retirement from over 40 years as a Children's Librarian at a major east coast library system. Yes, my official retirement date was April Fool's day. First up is Jeff Barger at NC Teacher Stuff. He says that Tito Puente, Mambo King by Monica Brown, illustrated by Rafael Lopez is amazing! Lopez's artwork in this picture book biography is so vibrant that it brings Puente's music alive visually. Published by Rayo, a division of HarperCollins, 2013. Ms. Yingling Reads has two pet care guides written by Ellen Miles. One is The Puppy Place: Guide to Puppies. The second one is The Kitty Corner: Guide to Kittens. I can tell you that children (and parents) always want a helpful pet car guide like these the minute they bring home a new pet. Available TODAY (April 1st) from Scholastic. There's a great picture book biography over at Shelf--employed today: A Splash of Red: The Life and Art of Horace Pippin written by Jen Bryant and illustrated by the award-winning Melissa Sweet. New York: Knopf, 2013. She says, "No April Fools Day jokes here -- just a great book to share." ACK! If you are afraid of snakes, don't pick up this book. Nic Bishop's photographs are always soooo realistic. (Don't get me started about his book on spiders -- a book I couldn't even pick up, it was so realistic.) Perogies & Gyoza reviews Nick Bishop Snakes today. New York: Scholastic, 2012. This Canadian reviewer says that her son loved it because it was so graphic. Books for Children of the World: The Story of Jella Lepman by Sydelle Pearl, illustrated by Danlyn Lantorno, Pelican Publishing, 2007, is definitely for those of you who are interested in history. It's about a brave lady who helped kids get books in post-World War II Germany and is featured today on Alex's blog, The Children's War. A new picture book biography by Don Brown is reviewed on Supratentorial -- Henry and the Cannons, an Extraordinary True Story of the American Revolution, published by Roaring Brook Press, 2013. Myra Garces-Bacsal reviews several books on her blog, Gathering Books. The Django (not to be confused with the movie Django Unchained), by Levi Pinfold, published by Templar in 2010, is about the life of "The Django" -- Legendary musician Jean "Django" Reinhardt who was born to a French-speaking Romany/ gypsy mother. Her other book review highlights A River of Words: The Story of William Carlos Williams by Jen Bryant, illustrated by Melissa Sweet, published by Eerdmans Books for Young Readers, 2008. Little known fact -- William Carlos Williams is a medical doctor who also happens to be a poet. Jennifer at the Jean Little Library blog is featuring science today. She highlights a book from the FUNdamental Experiments series published by Bearport. Which one? Her pick is DIRT. A great, fun, and messy experiment book for younger readers. Anastasia Suen is sharing Picture Yourself Writing Poetry: Using Photos to Inspire Writing by the award-winning Laura Purdie Salas, Capstone Press, 2012, over at her Booktalking blog. Over at the Biblio-File blog is a lengthly review of Martin W. Sandler's The Impossible Rescue: The True Story of an Amazing Arctic Adventure. Warning -- don't read this if you still have snow on the ground at your house -- wait until summertime when reading about freezing conditions will cool you off. 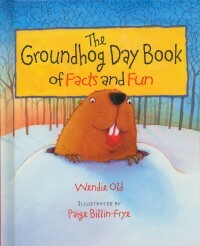 This chilly adventure for older readers was published by Candlewick in 2012. Jane Yolen and her daughter Heidi E.Y. Stemple have put together a collection of biographies of notorious women in the book, Bad Girls: Sirens, Jezebels, Murderesses, Thieves, and other Female Villains, illustrated by Rebecca Guay and published by Charlesbridge, 2013. To see a review of this captivating book, click on over to Abby the Librarian. Barbarians! (now that's a title that fits perfectly on this list right after the above Bad Girls book) Were they bad boys, or what? Steven Kroll explores their culture and religion and what makes them tick. 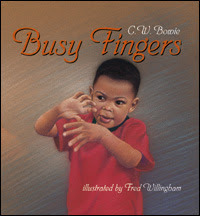 Illustrated by Robert Byrd, published by Dutton, 2009. Reviewed on All About the Books with Janet Squires. Tammy Flanders at Apples with Many Seeds explores how creative people think and work with the book by Shaun Tan, The Bird King; an Artist's Notebook. Arthur A Levine Books, Scholastic, 2013. Over at the InteractiveReader, Jackie Parker-Robinson has been weeding the 600s in the Teen section of her library and has created a list of missing books. Her conclusion? It looks as if most of these are books her teens want to read, but don't want to be seen checking out of the library. Hmmmm. Someone IS talking about April Fools Day books today. Join Mary Ann Scheuer over at Great Kids Books where she is having an April Fools celebration with palindromes, riddles, and fun with letters (CDB) and numbers (Wumbers). Books 4 Learning reviews Martin de Porres: The Rose in the Desert by Gary D. Schmidt, illustrated by the award-winning David Diaz, published by Clarion Books, 2012. The reviewer especially loves the poetic language here. 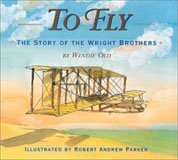 Sondra Eklund has a review of a picture book biography for your dinosaur fans at her Sonder Books blog. T-Rex! Talk about something kids can't get enough books about. A good book for reader's advisory and special displays. Barnum's Bones by Tracey Fern, illustrated by Boris Kulikov, published by Farrar Straus Giroux in 2012. Thanks for visiting. I hope you enjoy all the books listed here. Nothing for April Fool's from me, but I do have a book my son loved because it was so graphic, Nic Bishop's Snakes. No April fool’s here either. I have a new book from Don Brown, Henry and the Cannons. I have nothing for April Fool's Day either, but I do have a book about a brave lady who helped kids in post-war Germany get new books. It is called Books for Children of the World: The Jella Lepman Story by Sydelle Pearl. It is a collection of picture book biographies of the life of "The Django" (legendary musician Jean “Django” Reinhardt born to a French-speaking Romany/gypsy mother) with wonderful text and illustrations by Levi Pinfold and "A River of Words: The Story of William Carlos Williams" by Melissa Sweet and Jen Bryant - a medical doctor who also happens to be a poet. Happy retirement, Wendie! At Booktalking I'm sharing Picture Yourself Writing Poetry: Using Photos to Inspire Writing by Laura Purdie Salas (Capstone Press, 2012). Thanks for hosting Wendie! I'm in with Impossible Rescue! My selection is "Barbarians!" written by Steven Kroll and illustrated by Robert Byrd. Hi Wendie. Thanks for looking after this week's event. At Apples with Many Seeds,I've posted about The Bird King by Shaun Tan. Great round up! I'm celebrating April Fool's Day with some of my favorite books for jokes, puns and word play. Kids love this section of our library! Hi Wendie, I don't have a review ready for today, but I wanted to thank you for hosting. I get so much from Nonfiction Mondays, and I very much appreciate the hosts! Thanks for coming to read this roundup.